Smartphone sales have picked up in the Middle East, according to a report from International Data Corporation. The volumes are up to 16.4% in Q2, 2013 when compared to the same quarter last year. IDC's Middle East region includes Turkey but does not feature Egypt and North Africa. With 45.2% share, Nokia leads the overall Middle East mobile market (that's both smartphones and featurephones), followed by Samsung that accounts for 18.3% of the market in the second quarter. 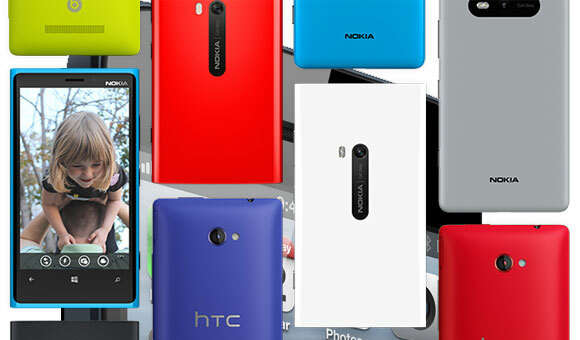 Just for smartphones, Nokia's market share climbed from 9.7% in Q1 to 11.8% in Q2, 2013, thanks to its Lumia series of Windows Phone lineup. That's enough to overtake Apple and its iOS, which held 11.4% of the market. BlackBerry's latest smartphones - the Z10 and Q10 were off to a slow start and accounted for only 13.3% of the sales in the Q2. However, BlackBerry has managed to hold on to its second position as the vendor in the smartphone sector. As one can expect, Android is still the most popular operating system in this region with 60% share of the overall smartphone volume. But, it is reported that the Google OS is not gaining any market share due to the rise in iPhone and Windows Phone sales. what,you walked all across the Middle East looking for people with a nokia handset? may be u r blind lol. Or B'cos smaller handset r inside pocket. They don show of like d 2 fruit & robot. Tis 2 r just for show off only, not for daily use! !